Thoughts from a Traveling Tech: I always thought it meant optional. Recently I received a picture from a reader that fit in perfrectly with the theme of the blog. 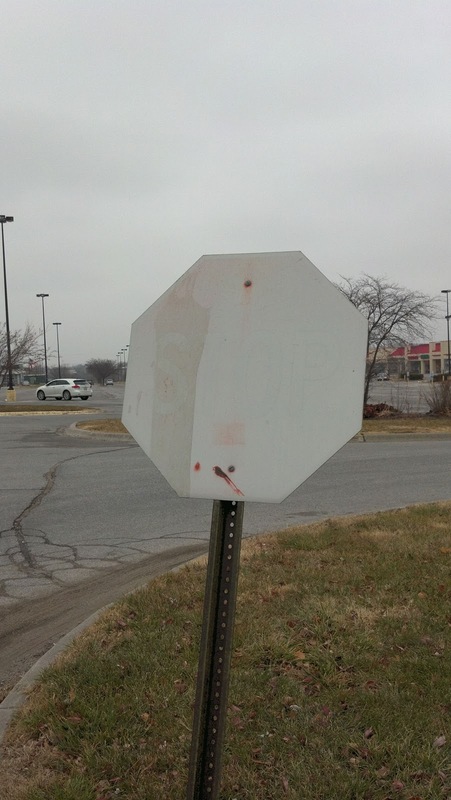 There has always been an old saying (fictional of course) that white border means optional when talking about stop signs. Well not only is this stop sign optional, it's practically not there. Imagine pulling up to this sign one day. What do you do? Personally, I think the stop sign is for those drivers who make California stops.